Sun, sand, sea, magic. Whyalla sunlight shimmers off the surfaces of the water and the edges of the horizon as you coast at one with the ocean and the road. Beach and outback backdrops, captivating views of the Whyalla coastline, Spencer Gulf and Flinders Ranges await those looking to unearth adventure, and who love driving, cycling, action and outdoor activities. Pass through pebble beaches, dunes and bushland along coastal trails unearthing beautiful landscapes as old as time itself. 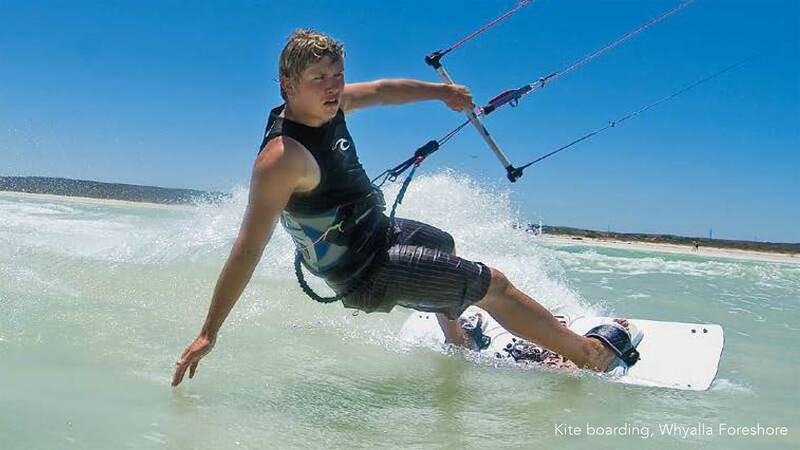 Kiteboarding is popular around the Whyalla coastline. Adrenaline pulses through your body as you move in harmony with the wind and the sea, the frothy cool foam at your heels as you skim along the surface of the ocean and you glide. Sailing or kiteboarding coasting through the swells with the ocean spray in your face and the sun sparkling on the water's surface, take in the city and outback coastal skylines, wild life and the ocean blue of Whyalla and the Spencer Gulf waters. Following self-guided trails is an engaging way of discovery. Unearth landscapes, natural wonders and Whyalla’s story.